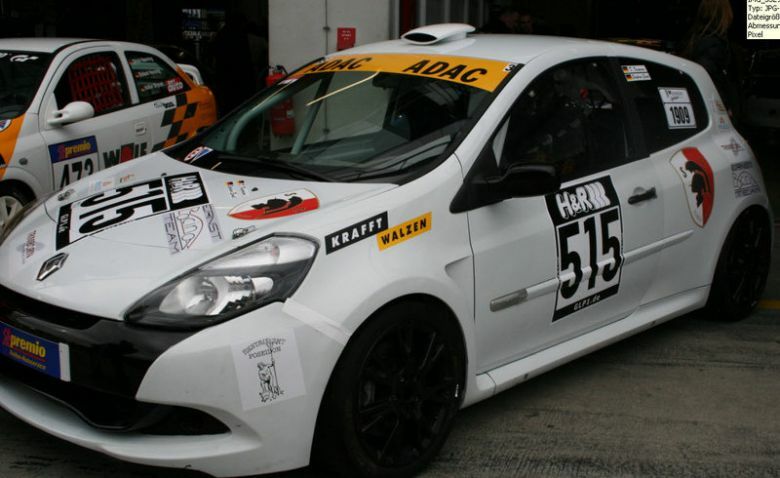 Free driver seat in the most famous „Touring Car Championship „VLN Langstrecken Meisterschaft Nürburgring“ with our excellent Renault Clio III. The cars is based on the new „Renault Clio Cup Car“. Weight down to regulation limits (fiberglas doors, engine hood, tail gate) 3-way KW Race-Suspension for the Nordschleife" 100 litres fuel cell, therefor only one pit stop during the 4 hour race. SADEV 6-speed sequential gearbox with optimised gear ratio for the "Nordschleife" The Renault Clio has been prepared by ERT „Ernst Racing Team“ with support from „Roadrunner Racing“ and makes a lot of fun to drive. For further information please do not hesitate to contact us.